Well, I’ve been a little off track with the days of these posts. In the last few, I didn’t mind just looking back at the previous day, but since I’m writing this on Friday and sharing pictures from an outing on Wednesday, I wasn’t quite sure how to title this post. Oh well! Today is sort of a yucky day with a gray sky and a mix of rain and snow, but the house is warm, cozy, and blessedly quiet. Hubby is grading papers for next week, the little one is napping, and our older son is keeping himself busy next to me in the living room. He’s just bouncing around, playing with little figures, and occasionally stopping for a cuddle. 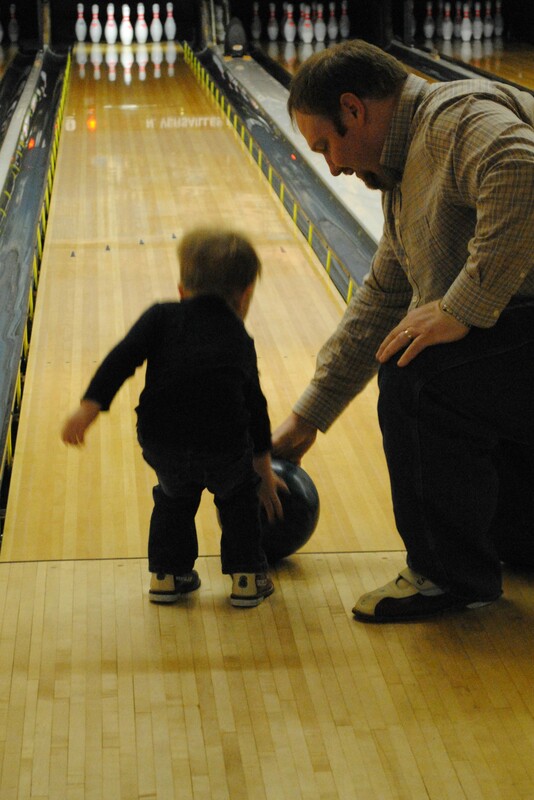 I thought I would grab a moment while the little guy is snoozing to share our bowling outing with you. Our scores were terrible, but we had a fun time. 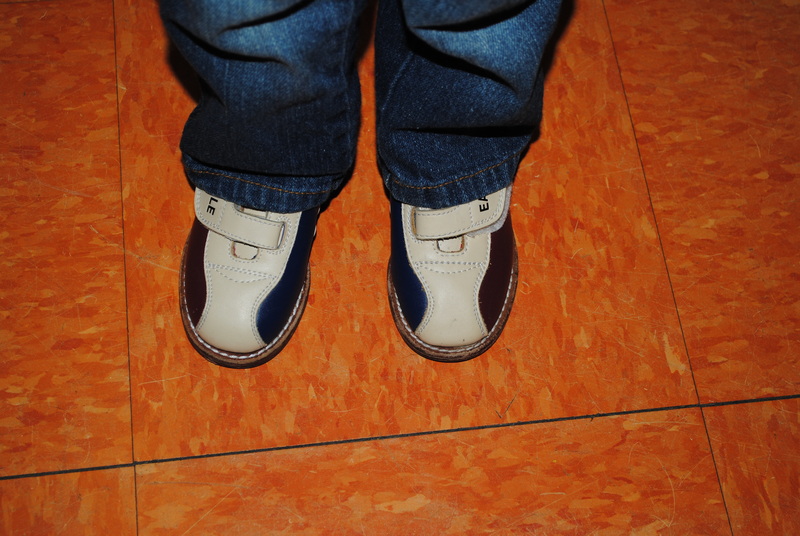 The little one fell asleep while we were changing out of our bowling shoes. He was worn out! 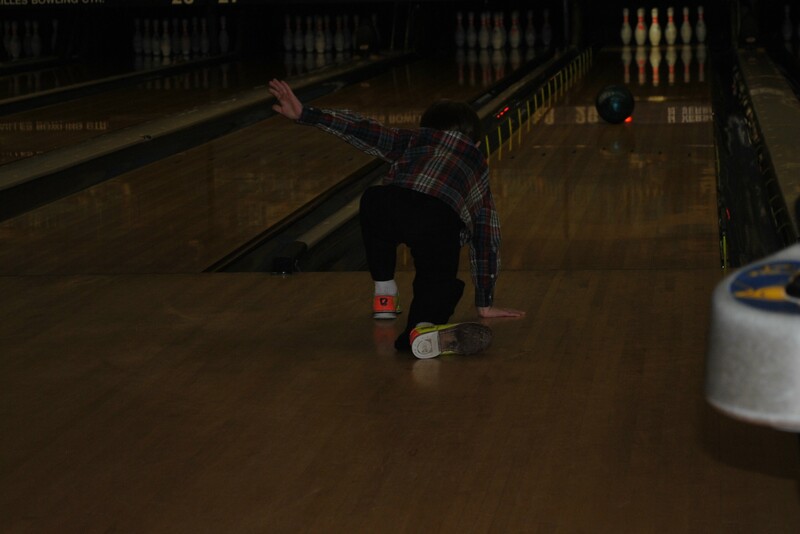 Don’t worry…he’s not falling. That’s his follow-through! Today (Friday), our two year old and I went to a La Leche League meeting. I love these meetings. They always renew my belief in the benefits of breastfeeding, and they give me a new sense of commitment to making healthy choices for my family from infancy on up. It was so nice to meet a new mother-to-be and to have a church friend in attendance.